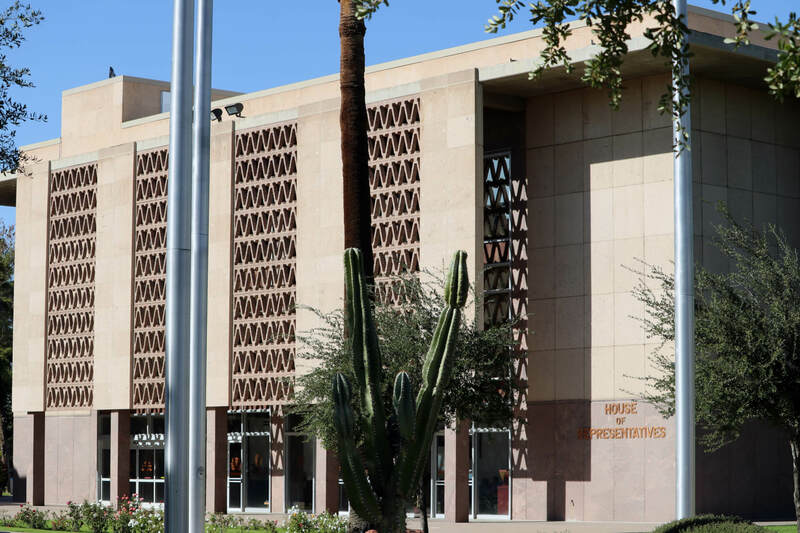 Democrats are still the minority in the Arizona House of Representatives, but are poised to capture more seats in the Legislature’s lower chamber than at any time since Republicans took control in the 1966 election. If the current leads in several contested House races hold, Democrats will gain four seats. That will give Republicans the slimmest of leads, just 31-29, in the House. Democrats controlled the House of Representatives for Arizona’s first 54 years of statehood. But in 1964, the U.S. Supreme Court ruled that state legislatures must be apportioned based on population, which struck down Arizona’s legislative district system that awarded seats by county. In 1966, Arizona held its first legislative elections under the one-person-one-vote principle, and Republicans took control of both chambers. Though Democrats won control of the Senate in the 1976 and 1990 elections, and tied the Republicans at 15 seats apiece in the 2000 election, the GOP has never ceded control of the House since the population-based districts went into effect. The most seats Democrats have won in the House since 1966 is 27. They reached that high-water mark in the 1966, 1974, 1990 and 2006 elections. If the Democratic gains hold as the remaining 650,000 ballots left to count are tabulated, it will mean that Republicans won’t be able to afford a single defection on any party-line vote in the House, potentially hindering their ability to pass controversial legislation for the next two years. A similar dynamic has existed in the Senate over the past two years, where Kate Brophy McGee and Bob Worsley, both moderate Republicans, have been the deciding votes on several big pieces of legislation. Due to the GOP’s 17-13 lead, which it will maintain for the 2019-2020 legislature, Republicans could only afford to lose one vote if the Democrats vote as a bloc against a bill. Three Democrats are in the lead for Republican-held seats. In Legislative District 10, a Democratic district in Tucson, Republican Rep. Todd Clodfelter lost by more than 1,800 votes to Democrat Domingo DeGrazia. In the competitive Ahwatukee-based Legislative District 18, Jennifer Jermaine topped Rep. Jill Norgaard by nearly 3,000 votes. Democrat Aaron Lieberman has a 586-vote lead over Rep. Maria Syms for the second House seat in Legislative District 28, a battleground district in east Phoenix and Paradise Valley. And in perhaps the biggest surprise in Tuesday’s legislative races, Democrat Jennifer Pawlik holds a lead of just 434 votes over former Chandler City Councilwoman Nora Ellen, who is the mother of House Speaker J.D. Mesnard, in Legislative District 17, where registered Republicans outnumber Democrats by nearly 14,000.